Page 12 of "Wings Over the World: Pan American World Airways Annual Report for 1943". 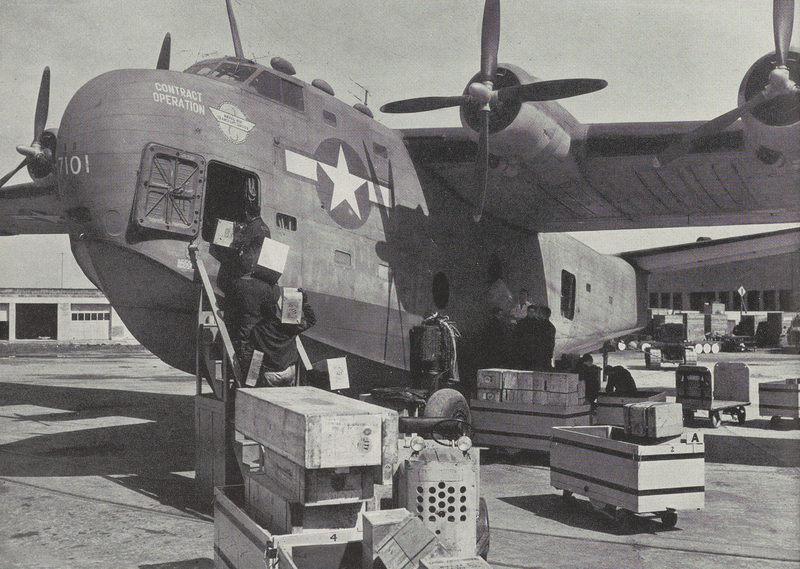 Caption reads: "Loading a huge Coronado operated by Pan American Airways under contract to the Naval Air Transport Service. These ships are speeding war equipment, medical supplies, and other vital materials urgently needed by our Armed Forces on fighting fronts throughout the world." This item is part of object asm03410021150012001. To request this item, use this number to search for it in UM Libraries' Digital Collections. 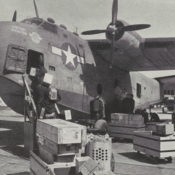 Pan American World Airways, Inc., “A Coronado, an amphibious patrol bomber, being loaded with cargo for the war effort,” UM Libraries Digital Exhibits, accessed April 22, 2019, http://scholar.library.miami.edu/digital/items/show/1642.